Ḥorvat Zikhrin is situated on a hilltop, 160 m above sea level, overlooking the eastern basin of the Yarkon River, about 6 km southeast of Aphek (Antipatris) and along the Roman road that linked Jerusalem with Caesarea, the later Mameluke postal route darb el barid. The site covers approximately 7.5 a. and is surrounded by rock-hewn graves, terraces, watchtowers, and farms. It was described in the nineteenth century by V. Guérin and again by C. R. Conder and H. H. Kitchener. 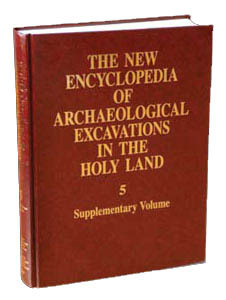 Excavations were carried out at the site in 1982–1989 by M. Fischer, on behalf of the Department of Classics of Tel Aviv University and the Archaeological Survey of Israel. Eight main areas were excavated and 53 cisterns surveyed.